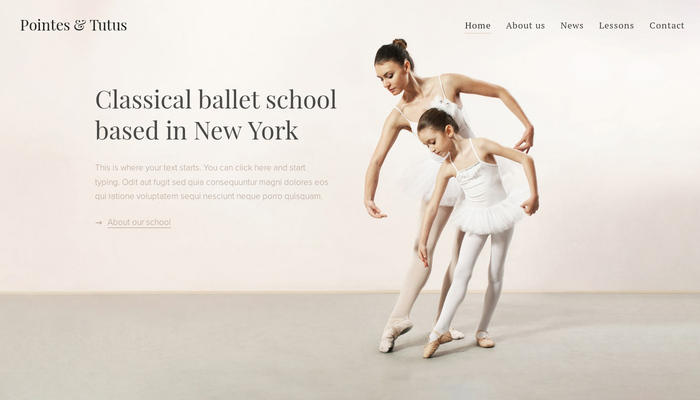 This elegant template will be an ideal match for your ballet school or dance studio. 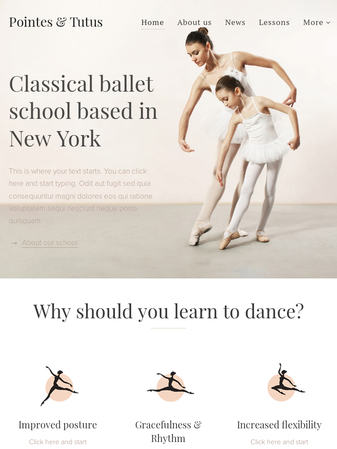 Subtle color scheme and images correspond with the graceful dance theme while content offers everything your students might be looking for. Add your lesson schedule, introduce the teachers or write a blogpost about the last successful rehearsal. Your dance school presentation will be en pointe!